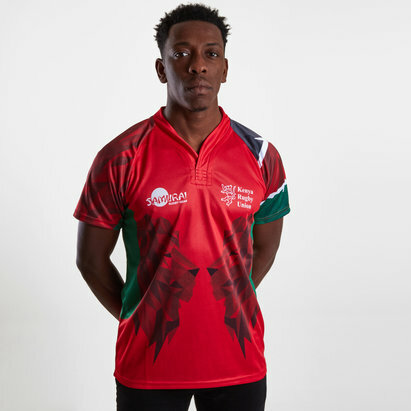 Be a supporter of one of the 15 "core teams" of the World Rugby 7s Series and of the Shujaa when you pull on this Kenya 7s 2018/19 Alternate S/S Replica Rugby Shirt from Samurai. 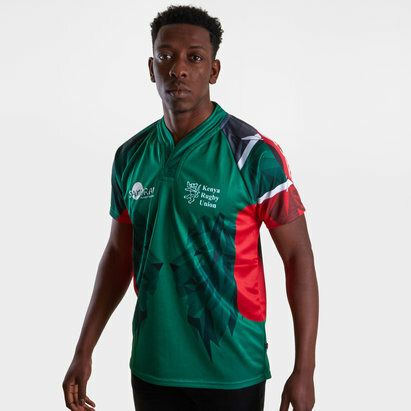 Kenya have a guaranteed place in all ten events each season. Kenya recorded their first tournament win in the series after beating Fiji at the 2016 Singapore Sevens and look to add some silverware to their name. 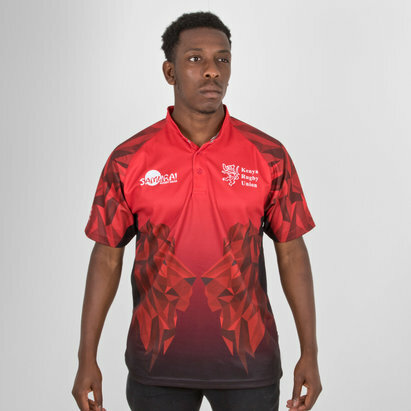 A fully sublimated design made from Samurai’s Ikoma 220gm fabric and incorporating their Performex system which is breathable, moisture wicking and has a UPF of 40. 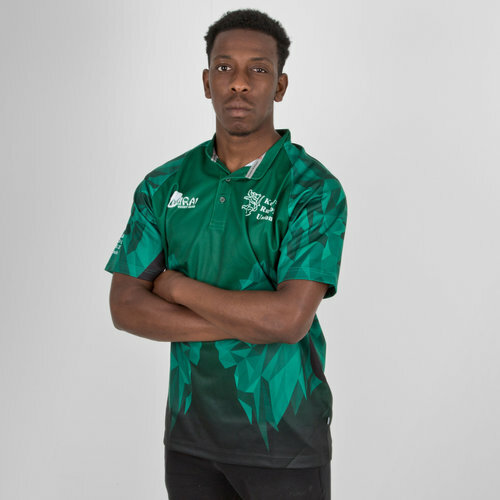 This shirt is predominantly green with a sublimated design across the body and sleeves with the shirt fading towards a black colour. The design is of a lion and is made up of triangle shapes. This design is also used on the sleeves. The Kenyan rugby union badge is on the left whilst the Samurai logo is on the right.